The Ware Chick-N-Feeder holds up to 17.6 lbs. of food. 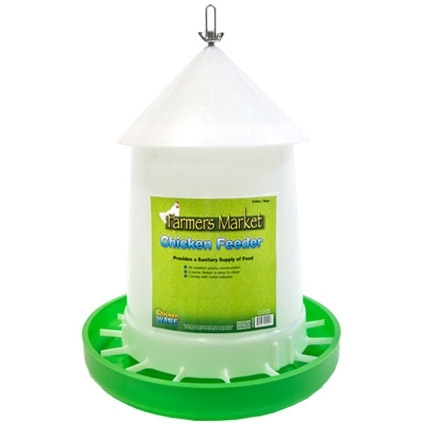 With a UV stabilized plastic construction, this feeder will hold up in all-weather conditions. Features include easy to clean 3 piece design, hanging metal hook and food flow adjuster.